If you think Indian politicians are the only ones good at making foot-in-mouth comments, well think again, because this representative in Australia’s senate might give some tough competition for our leaders. 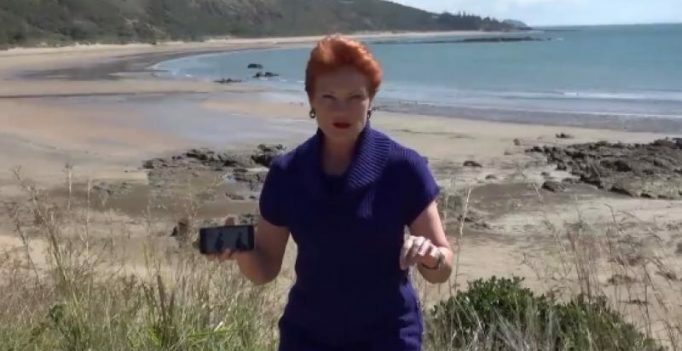 Pauline Hanson, who represents Queensland in the Australian senate, seems to have run out of issues to discuss, as she posted an entire video criticising nothing else but Indian style squat toilets. You heard that right, Hanson actually expressed outrage at Australian taxation offices introducing Indian style toilets for employees from non-English speaking backgrounds, to create an inclusive environment.